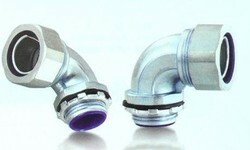 - Allows for a flexible conduit connection that protects from damage due to vibration and movement, and seals out contaminants such as water, dust, oil, etc. We offer to our client a eide range of BX- Flex Connector Straight Squeeze Type. These connectors are useful in offering smooth electrical connection and are thus used in various electrical purposes. 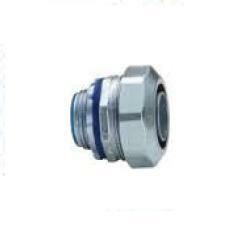 We offer these connectors using high quality raw material, which offers them durability and makes them resistance to corrosion. A standard quality range of Metal Conduit Connectors is provided by our firm. Under the brand name of SILVYN® US, we offer SILVYN FD-PU and FPS that provide a conduit system in order to meet the demands of stability and functional reliability. Moreover, the superior quality brass conduit connector also provides a vibration and tension-resistant connection.